Batman wings into an exciting new era, teaming with a mighty honor roll of DC Comics Super Heroes in this action-packed series. Through the show’s final 13 Animated Adventures in this 2-Disc Collection, the Dark Knight allies with Aquaman, Plastic Man, Blue Beetle, Red Tornado, Green Arrow, Wildcat, Deadman, Bronze Tiger and Atom to take on an array of evildoers ranging from mad scientists to intergalactic crooks, from power-mad dictators to out-of-control teenagers. He even travels to a parallel world, becoming the villainous Owlman! In this cool, cutting-edge and often funny series bringing back old-school comic-book styling and dry wit to crimefighting, Batman faces any peril – including other heroes stealing the show – in his relentless pursuit of justice. We are huge fans of Batman and we have been watching this series on Teletoon since the beginnig of this series. 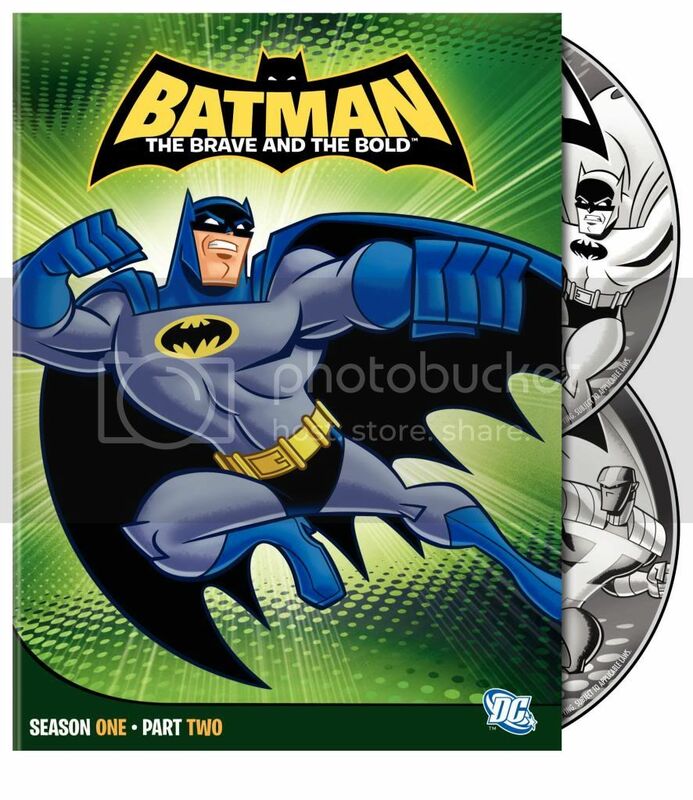 We really love this series and absolutely love Batman: The Brave and The Bold Season One Part Two DVD. We will be buying part one and all future seasons of this series. This is one of my favourite Batman series. My favourite episode in this series is the Mayhem of the Music Meister with Neil Patrick Harris playing Music Meister. I just got a chance to see the musical episode yesterday, and the way they put the old comic book feel in this series is awesome! It’s nice to see that there is a kid friendly version of Batman out there right now. I live a very busy life and don’t always have time to watch it at home, The Brave and the Bold is one of my favorites right now. Being that I am a customer/employee of DISH Network I can use my iPhone to watch The Brave and the Bold anywhere I have a 3G connection. I can do this using Sling Technology. I can’t recommend the TV Everywhere feature enough to anyone with a busy lifestyle.